Need a gym to drop into? Check out one of the nine Greater Des Moines full-facility YMCA locations. Access gym equipment, racquetball and squash courts, an indoor cycling studio and many classes like yoga or INSANITY to find your ideal workout. The Downtown Wellmark YMCA is perfect for the visitor here on business, and can be accessed through the skywalk. All-inclusive day passes are $15. Find class schedules and other information at dmymca.org. Looking for something different? 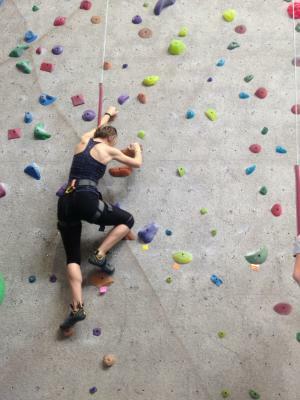 Climb Iowa in Grimes is a great indoor option. With more than 10,000 square feet of climbing, it is Iowa’s largest indoor climbing and training facility. New to this activity? 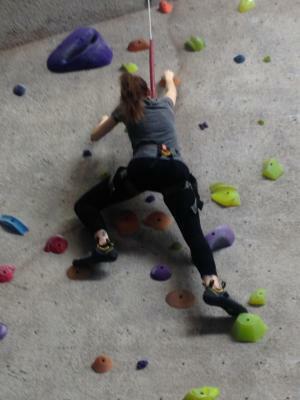 No need to be intimidated; Climb Iowa is for climbers of all ages and abilities. Day Passes start at $16. Add in harness and shoe rental and it should only run you about $25. Well worth the thrill of scaling the wall and doing something out of the norm. Looking to get outside? If there is snow on the ground, make snowshoeing your next adventure. Get off the beaten path and trek through the lush winter scenery of the Metro area parks. Snowshoes can be rented from Polk County Conservation as well as Des Moines Parks and Recreation for just $10/day. Click here for more information on snowshoe rental. Training for a spring road race? 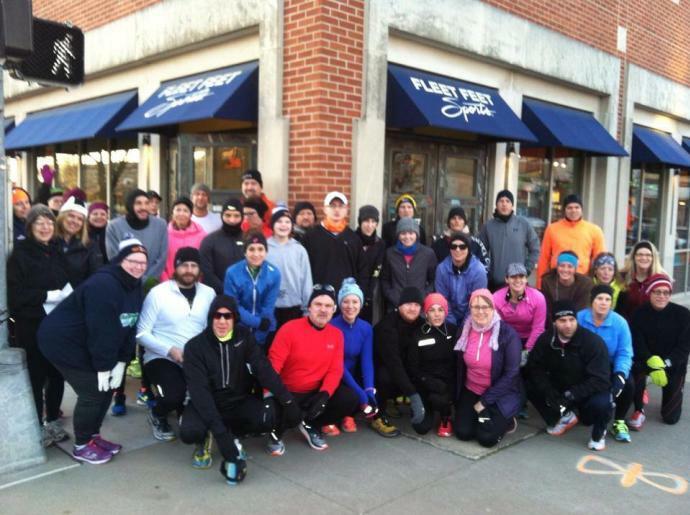 Don’t lose any ground on your mileage and catch a run with some company from Fleet Feet Sports, a specialty running store in the Historic East Village. They host free weekly social runs of 3-5 miles every Wednesday (6 p.m.) and Saturday (8 a.m.), year round. Everyone is welcome! If you want some help with your training don’t miss the opportunity to join the Fleet Feet Sports Des Moines half marathon-training group! For those looking to get in shape for the Drake Relays Half or Dam to Dam, this is for you! Space is limited! Email andy@fleetfeetdesmoines.com to reserve your spot! Find other ways to stay active in Greater Des Moines at catchdesmoines.com/active-do. Avid runner. Design and art lover. Rollercoaster enthusiast. Beets addict. Pug obsessed.